A rare find and quite possibly the gem of the neighborhood ! This property has been completely updated and has plenty of room for expansion if one desires. 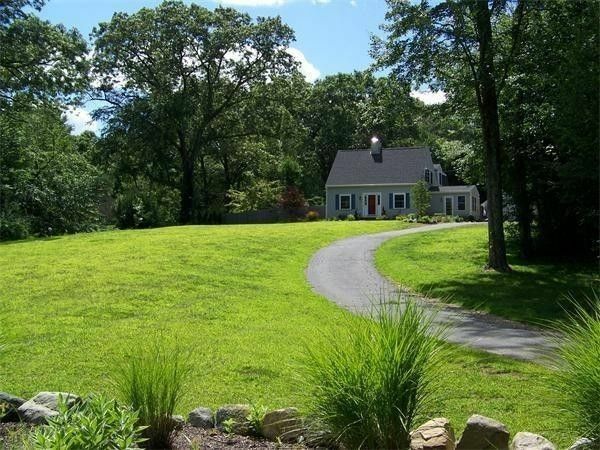 The backyard is absolutely huge, flat and private - it could easily take an in ground pool or large barn. The eat in kitchen is where it all happens - wood burning fireplace and center island with lots of space to live and entertain, this all opens out onto a stunning bluestone patio with a pergola and stone fire pit. The first floor has an open floor plan with large wide pine floors and beautiful natural light. The upstairs is comprised of Two master suites - this is important because the house is legally a 3 bedroom - please note: it currently operates as only a two bedroom. This property is ideal for someone looking to downsize and does not want to sacrifice on style or privacy.